My mum and l are planning on getting matching tattoos for mother's day. A quote from our favourite comic, which was something special she and l shared when l was growing up. Last mothers day we got her a foot spa so I will be giving her a deluxe pedi! I know she would love some of these rose goodies also! Mum lives overseas so for me the only way to pamper her for Mothers Day is by sending gifts and making that special phone call. Mum's so special so we go all out with a lovely gift, movie and dinner. She deserves pampering for being so fabulous. I will be baking my Mother's favourite Lemon & Lime cheesecake, I am so lucky to have a mum that taught me her love of cooking. I will be having a lovely Mothers Day lunch with my mum! I just love Mother's Day, a time to celebrate the wonderful woman who brought me into this world and helped me become the Mum I am today! will make her fave foods, and give her a nice break! Those Jurlique gift packs look utterly divine! Thank you for hosting such an amazing giveaway! 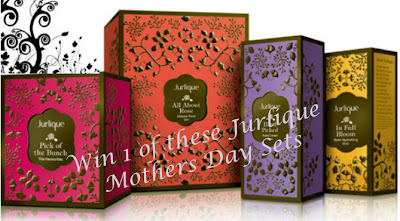 This Mother's Day I will be spoiling mum with luxury skincare products (hopefully one of the Jurlique gift packs!)! I plan on pampering my Mother-In-Law this Mother's Day by giving her some awesome moisturisers and body lotions. Would love to spoil my mum but she is no longer here so would like to surprise my gorgeously supportive friend, mother of three boys, with this gorgeous Jurlique gift pack. My other half will be away, so plan to spend the day with Mum, grab a coffee, taking in a girly movie, then back to my house where my kids and stepdad will have organised dinner! We're planning to go up to the country. If the weathers good we'll spend the day outside and probably go out bush walking, if the weathers against us we'll just have to sit around the fireplace and cook too many marshmallows! 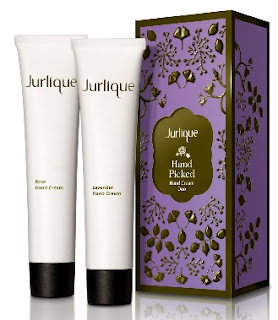 Jurlique Products - as natural as my Mother's love for me. I am taking my momma out for a buffet dinner! She loves to eat! I'll be sending her a card and calling her since I'm interstate! My mum is all about rose! I mean that literally. I think she thinks it is a royal flower or something. So I have to get the all about rose set for her! As for how aim going to pamper her? Well I think a day away from cooking and cleaning (perhaps family) would do wonders!! To give my mum a treat like this, would make my day, because my mum truly deserves a special gift like this. Amazing sets! Surprisingly I've never tried anything by Jurlique. Come by my blog and say hiiiiii! Before I even saw this comp I had decided to go and buy her the Jurlique citrus hand cream. Both of us absolutely love this product and we regularly buy it for each other as presents. Lots of hugs and kisses for mum along with a foodie goodie bag of things she loves! She will have a day that's all about her. The daily treats that we have like clean clothes, delicious dinners and a hug at night are SO APPRECIATED. She will be spoiled with new clothes, dinner at a fancy restaurant and the biggest hug I can give her! Lastly, I posted on the Facebook wall as Elizabeth Phan.